When Silent Rain was first compiled, back in 1993, part of the idea of producing such a varied collection of material – talks, poems, travelogues and artwork – was that it would then provide an easy source for smaller offprints over the years. Things, however, rarely turn out as predicted by foresight and thus, up until now, no smaller booklets had been spawned from it. 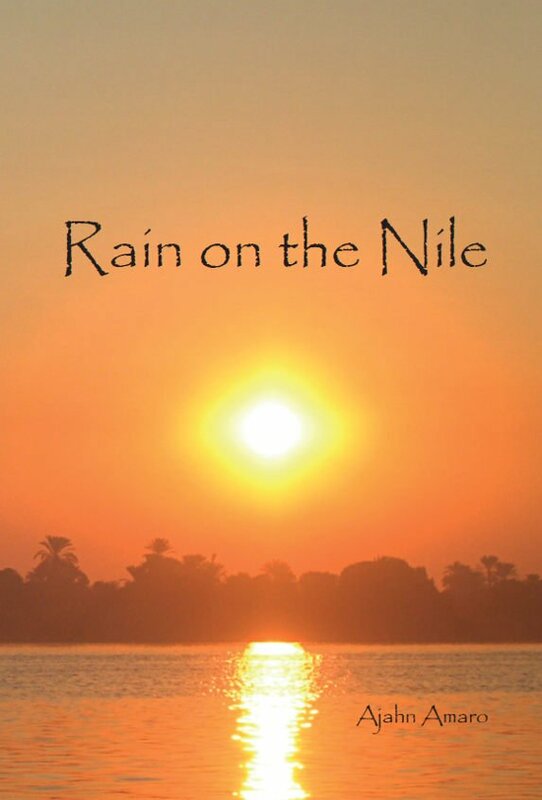 This present book, Rain on the Nile, is something of a remedy for that, being both an outcome of that original intention as well as an arena for the offering up of some more recent material – to wit, the travelogue of a journey to Egypt made in December of 2006. In truth, without there having been plans to reprint some of the talks from Silent Rain, the Egyptian diary would never have been written. All of the talks that appeared in the former book have been left largely as they were, with minor adjustments made only for consistency of grammar and spelling, and for the correction of a couple of factual errors. The order of the material has been changed, however, this being with the intention that the content of the talks somewhat match the flow of the extended travelogue. As is the spirit in which Buddhist teachings are traditionally offered, all the words and images gathered here are presented for reflection upon by the reader; may the eye and heart take in and retain what is useful, and may all the rest be gently laid aside.